Happy Sunday, people. On this day in history in 1867, the British Parliament passed the British North America Act, which created the Dominion of Canada as part of the British Commonwealth. Pursuant to that act, Canada became a country effective July 1, 1867 (although it didn’t become fully independent of the British Parliament until 1982). The collection’s particular strengths include sculptures by Rodin and Dali. In addition to numerous artworks by Mexican artists (including of course Diego Rivera), you can also see paintings by the likes of Rubens, Monet, Miró, Van Gogh, Gauguin, Renoir, Tintoretto, and El Greco (although in many cases those paintings would fall into the category of “Famous artists’ lesser-known works”). 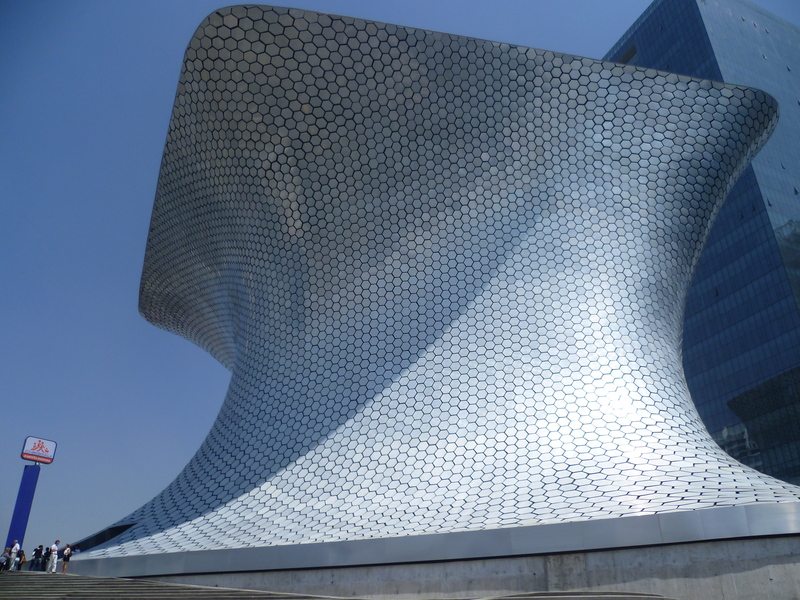 As of 2013, the Soumaya was the most-visited art museum in Mexico and the 56th most-visited museum in the world. 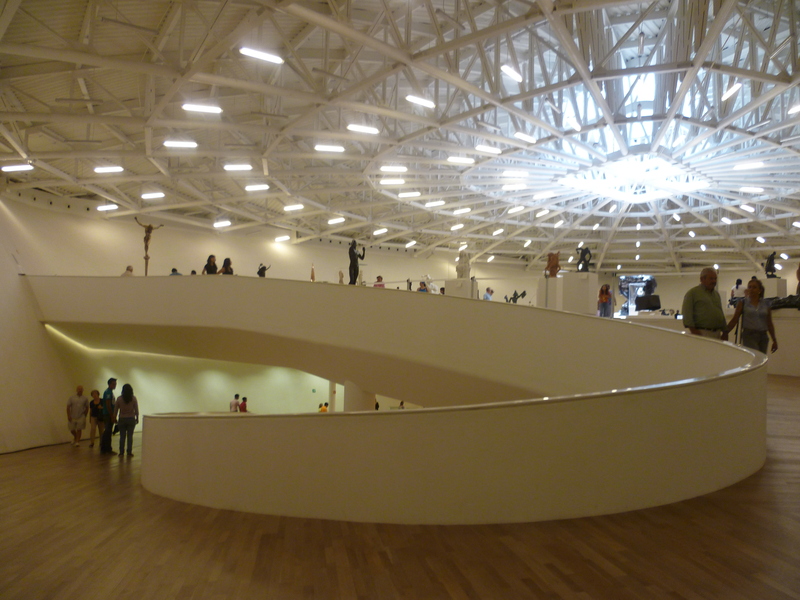 These photos were taken during my visit to Mexico City in May 2011 — just two months after the museum’s opening, and during the weekend when Mexico became the 23rd country on my World Karaoke Tour. Do you like visiting art museums in other cities when you travel? Love this museum. Frankly, it blows the pants off the Guggenheim Museum, if only b/c there is so much more to see (and the neighborhood is changing in exciting ways as well!). 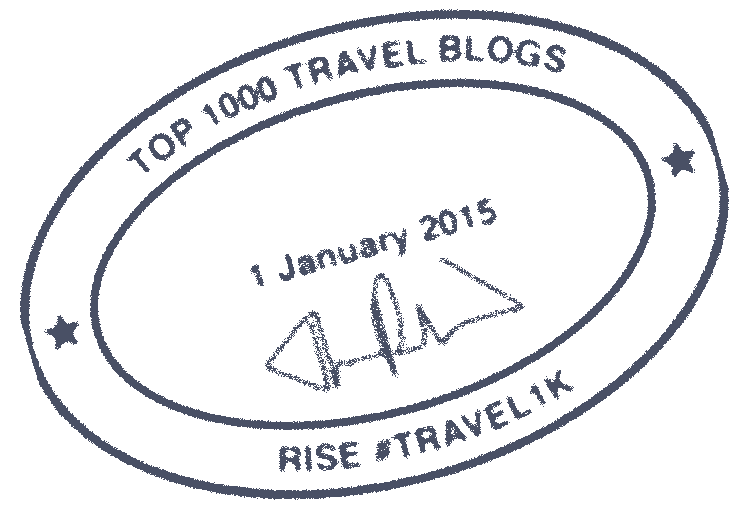 I’m only just now discovering your blog, but this is a great post!